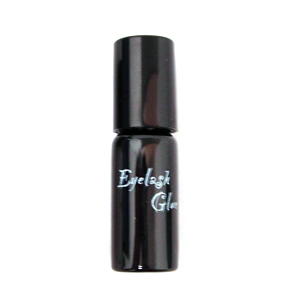 Black color false eyelashes glue with applicator. Comes in handy little travel bottle that will fit in tiny clubbing purses. Great for on the go emergency touch ups or travel. Dries on black so you will want to use this one to blend with black or dark eye makeup. Made in Korea.